Despite the new plastic bag tax in the UK, the opportunities for the flexible converting industry are present and diverse. Bag making machines can still make carrier bags but are now found making security envelopes, bags for packaging, padded envelopes, liners for many applications, pouches, sleeves and a whole host of new products and innovations. New barrier materials are allowing flexible materials to contribute to the ESL (extended shelf life) programmes. In an Ultraviolet curing system, generating the UV light is only the first part of the story….with a spherical or cylindrical UV lamp and in most UV cure applications the UV leaves the bulb in the ‘wrong’ direction and a large part of Jenton’s expertise in UV drying has been related to optical systems that direct, preserve and concentrate the UV light and direct it the best way. 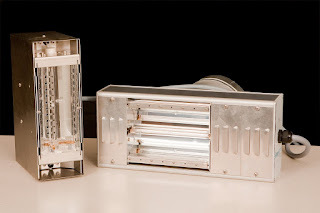 Jenton’s JA range of modular UV curing lamps (see photo) have polished aluminium reflectors formed to give excellent focus and JentonUV’s Cont-I-Cure conveyors are designed to move products to be cured evenly through that focus. 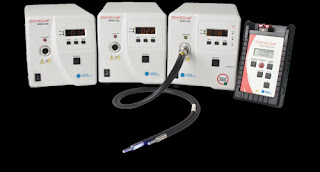 Excelitas UV Spot cure lamps have precision dichroic reflectors and high efficiency light guides that direct UV to precise cure locations (such as adhesive joints on medical devices or optical components). Many of Jenton’s projects combine excellent UV generation with optimised optics and precision product handling for the best results possible. In addition, Jenton supply UV Radiometers for calibrated measurement of UV at various wavelengths and filtered sensors for process monitoring and feedback control. 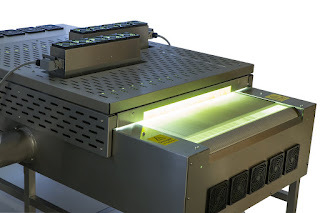 Our UV Spot Cure systems and new UV Curing Conveyors can self check their UV output and the performance of optical components and raise alarms etc. 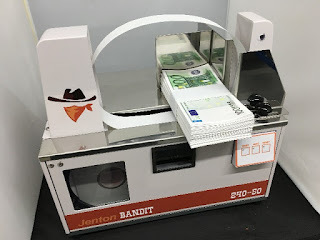 The Jenton BANDIT heat seal benchtop banding machine is available in two tape widths, 30 and 50mm. 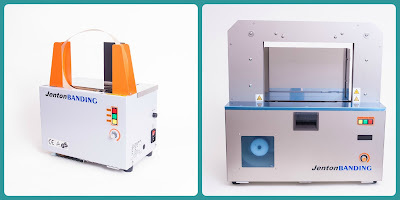 Plain or printed materials can be used and products with cross sectional dimension up to 240mm can be accommodated. 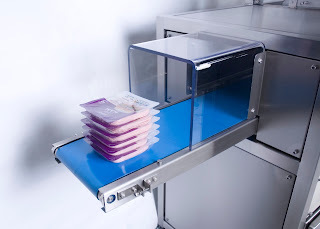 These small machines are ideal for banding individual products for labelling, securing multiples for promotions, shelf stacking purposes or are ideal for banding those stacks of cash one finds lying around…. 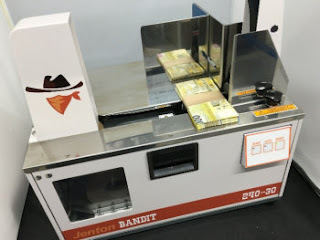 In addition to the established range of ATS banding machines, Jenton supplies its own range of benchtop banding machines , as well as the Baumeister Tying Machine, and the CE stretch film banding machine. Our next trade show is Foodex, where we will be launching our new high speed foodstacker for food pack collation. The new FCS2 unit automatically stacks thermoformed packs into a single line into stacks up to a maximum height of 150 mm. Main applications include all sliced products, poultry, fish and fresh produce. Depending on stack profile ,the collator can accept packs at speeds of up to 180 packs per minute. Our sales team will also be on hand to discuss the waste reduction benefits of our food packaging Seal Tester an automatic seal integrity test and converger in one simple unit. The system ensures that each pack is tested for the longest possible time to identify and reject even the smallest seal defect. During a recent survey carried out by WRAP, 11% of meat packs were found to have leaking seals or pin holes. The Jenton-Ariana Autotester tests EVERY pack and only rejects the leakers. Controlled Atmosphere Packaging (CAP) of fresh produce has extended the shelf life of many perishable products. The Seal Tester has been developed as an effective method of warranting such shelf life by detecting leaking packs at source. 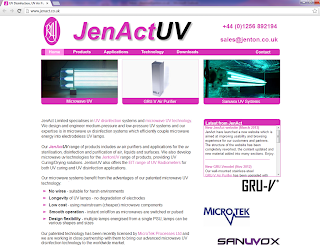 Jenton's UV disinfection subsidiary JenAct Ltd has launched a new and improved website - www.jenact.co.uk. UV air disinfection and sterilisation for medical, pharma and food industries is the perfect low cost and zero residual solution and JenAct was set up by Jenton to develop its portfolio of 20+ patents on the subject. Surface disinfection of packaging materials and food products is possible in conjunction with Jenton's food handling conveyors and with our partners at Surrey Diagnostics Limited, we can also offer bacteriological testing to evaluate problem bugs and contamination levels. Please contact Dr. Jarek Bilek at Jenton for more information. Jenton adds two new banding machines to its Banding Machine Packaging Range. Jenton International adds two new bench top banding machines to their range. The Jenton Banding Systems TT180 is the smaller of the two, ideal for banding small products. Boasting a compact design, with a foot print of less than 15 inches square, weighing in at only 15 kg. The unit bands at 25 cycles per minute, for high efficiency operation. Complete with simple tension adjustment to suit the product being banded. The larger machine, the TT300 is equipped with a new tape feeding mechanism, therefore, tape jamming problems are completely eliminated. Both machines use paper and film, and are inexpensive to run. Just plug into the mains, load your tape and you are ready to band. As well as securing a pack, banding can also be used for tamper evidence, labelling and promotional impact. Materials include paper or film, plain or printed. You are welcome to visit our showroom in Whitchurch Hampshire, to trial banding machine products. We have a wide selection of working machinery ready to solve your packaging dilemmas! 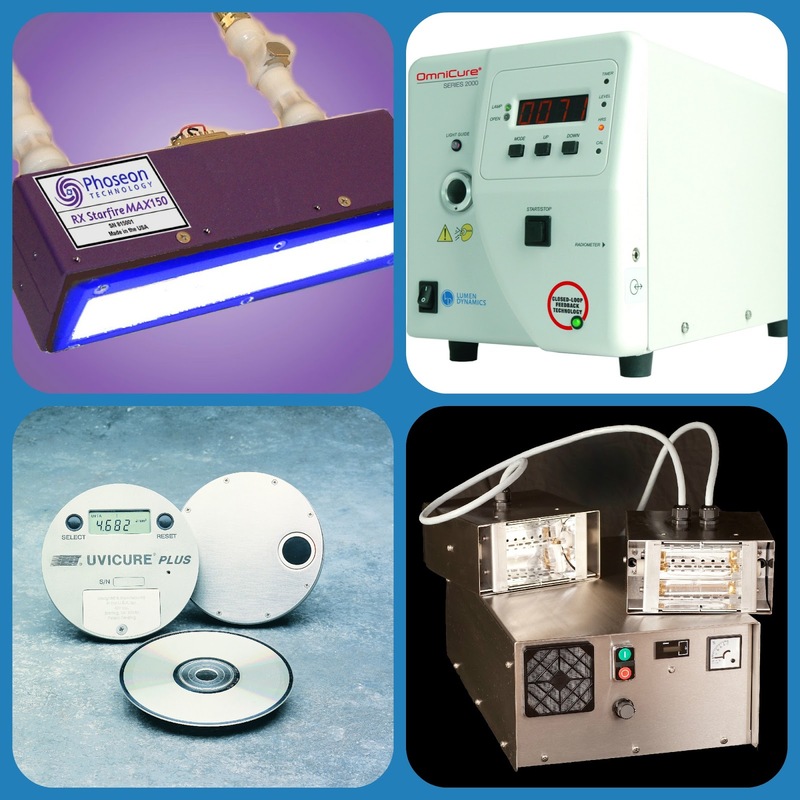 We will be showcasing our range of UV Curing systems at various shows this year. Jenton UV designs, manufactures and sells modular industrial UV curing and UV drying equipment. With over 25 years of experience, we are familiar with many types of applications relating to uv adhesives, coatings and print within medical, automotive, electronics and industrial markets. 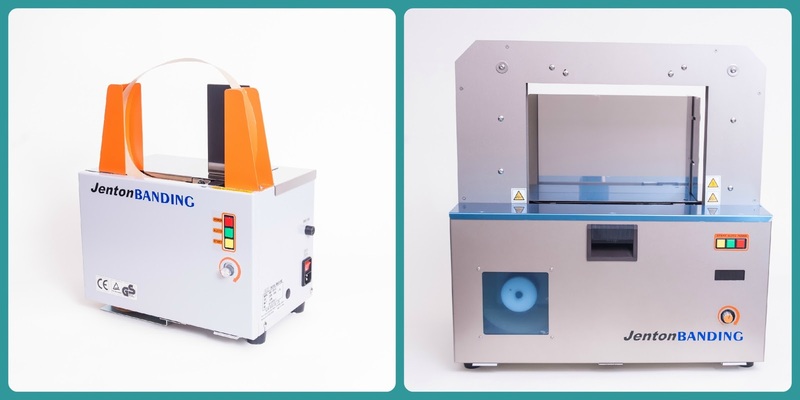 We can advise on the exact UV Curing equipment/material combination for your application. UV adhesives are used for curing during exposure to ultra violet light. The adhesives contain photo- initiators reactive to specific light wavelengths that act as catalysts to promote polymerisation reactions. This reaction typically takes place in seconds or less; UV curing is often referred to as ‘instant curing’ – allowing more efficient use of jigs or continuous flow in an automated process. We offer a range of UV Curing and measuring systems from Lumen Dynamics, EIT UV Radiometers, Phoseon UV LED Curing Systems and Jenton UV Lamps and UV Conveyors.We provide leading brands, services and technical support to both OEM and end users.